Dill (also known as dill weed) is an annual herb. It is part of the celery family. Dill is recognizable by its slender hollow stems that can grow between 16 to 24 inches high. It has delicate leaves that are very fine and soft. The leaves can grow between 4 to 8 inches long. Dill leaves are similar to fennel but look broader and less threadlike. Dill plants flower with small white or yellow buds. Dill seeds are about 4 to 5 mm long and straight or slightly curved. 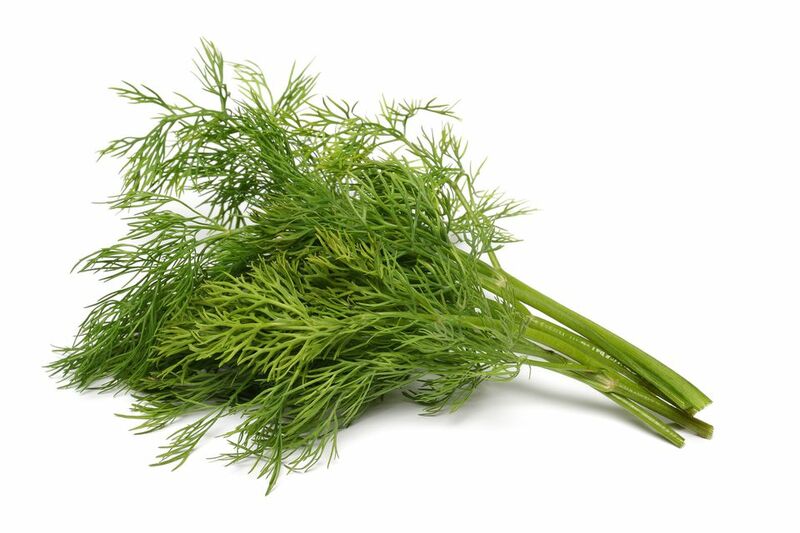 Fresh dill weed is widely available in the produce department of most markets. The leaves wilt quickly upon harvesting, but this will not affect the flavor. To successfully store fresh dill, spritz whole stems lightly with a fine spray of water, wrap loosely in paper towels, and place in a sealed zip-top plastic bag. Store the dill in the vegetable bin of your refrigerator. It should last up to a week and perhaps even longer.